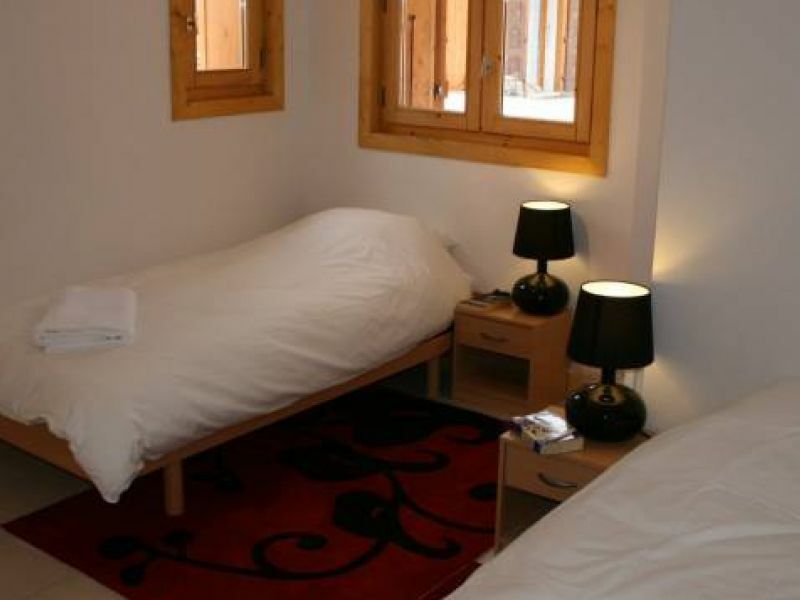 Les Drus 2 is a luxury standard new self catered apartment situated in the centre of Morzine. 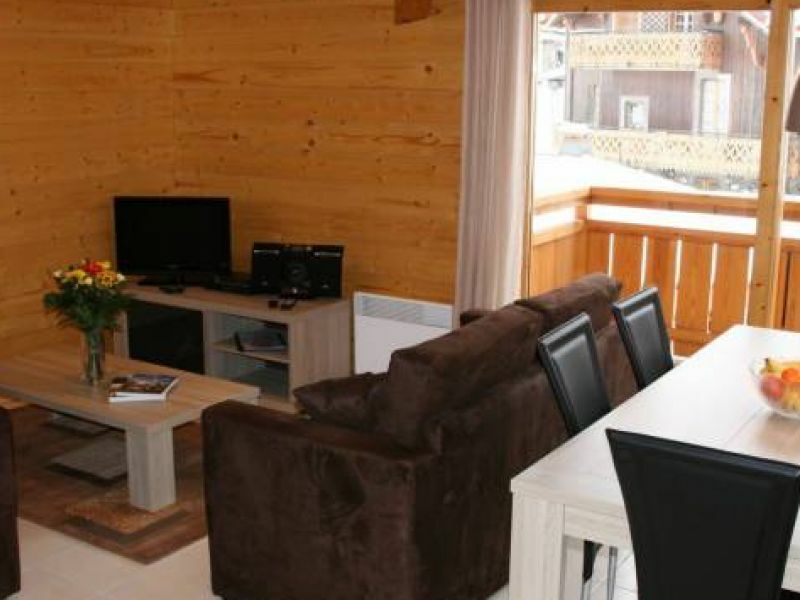 It is ideal for a small group of friends or one large family, sleeping 6 people, with 3 bedrooms and 3 bathrooms on 2 levels. 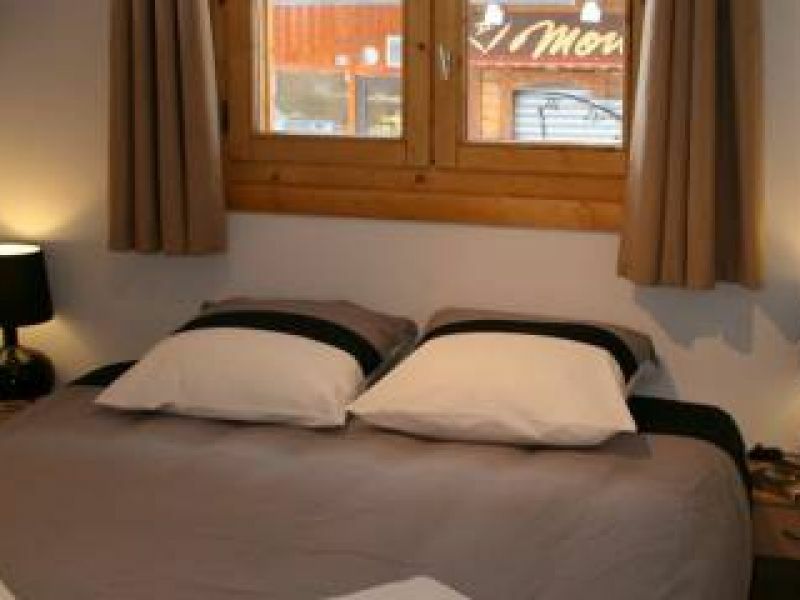 The situation couldn't be better: at the lower end of the Rue du Bourg in Morzine, you're only 100m from the excellent Carrefour supermarket, 2 doors away from a good boulangerie, and surrounded by a wide choice of bars and restaurants to suit all budgets. 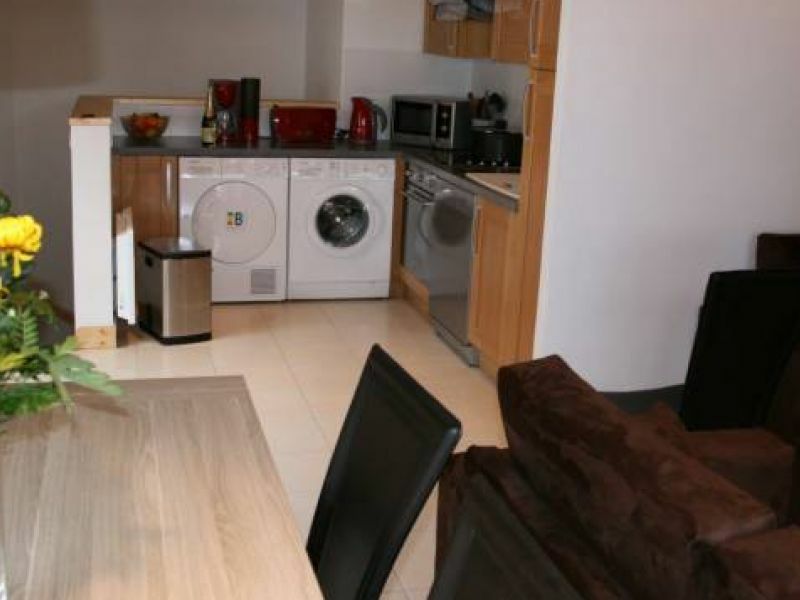 The apartment is also ideal for self-drivers as there is a lockable garage at ground level. 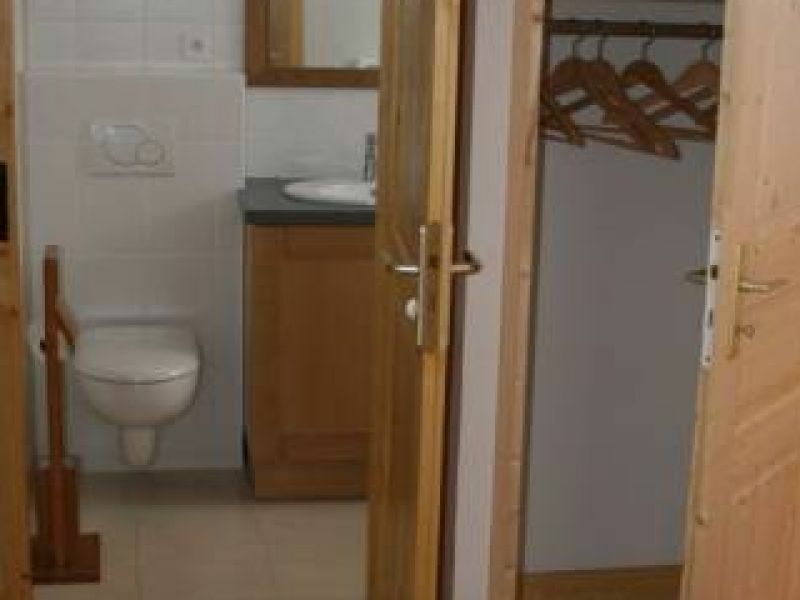 The 3 bedrooms are off the entrance hall; there are 2 twin bedrooms each with bathroom and WC, and a king-sized bedroom with ensuite bathroom / WC. There are two stylish porthole windows at this level. The dining table seating 6 faces out onto a sunny balcony facing South / South-West. The lounge area has 2 comfortable sofas, DVd, Freesat TV, hi-fi and there is free Wi-Fi throughout. Heating is via low-range underfloor heating and electric radiators in all rooms. 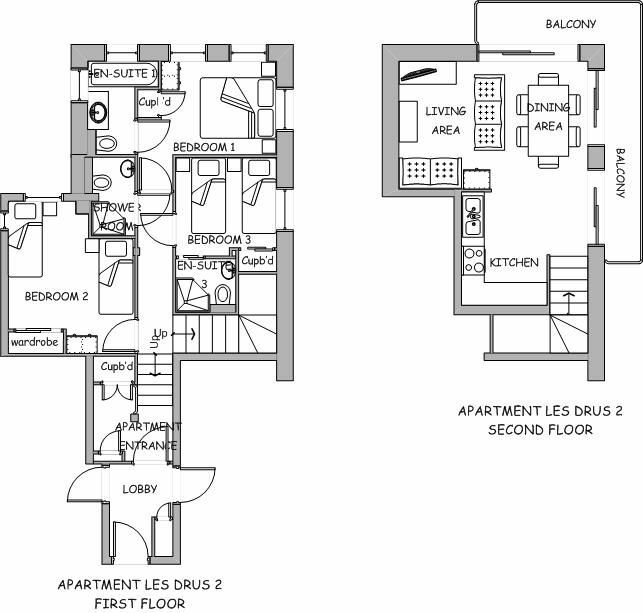 The apartment has 70m² of space in total.